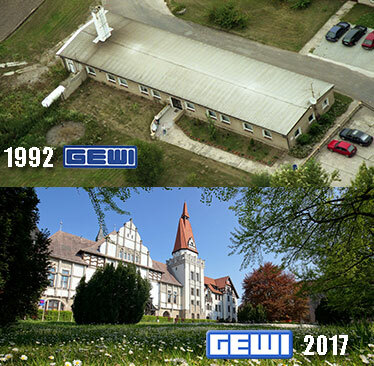 GEWI was founded in a small office in Stassfurt, Germany in September of 1992. In this issue we'll remember that first office and celebrate GEWI's expansion worldwide and 25th anniversary company workshop held in the Moroccan desert. We also look ahead to the ITS World Congress in Montreal where GEWI will again be exhibiting and demonstrating the latest TIC Software Product Features. 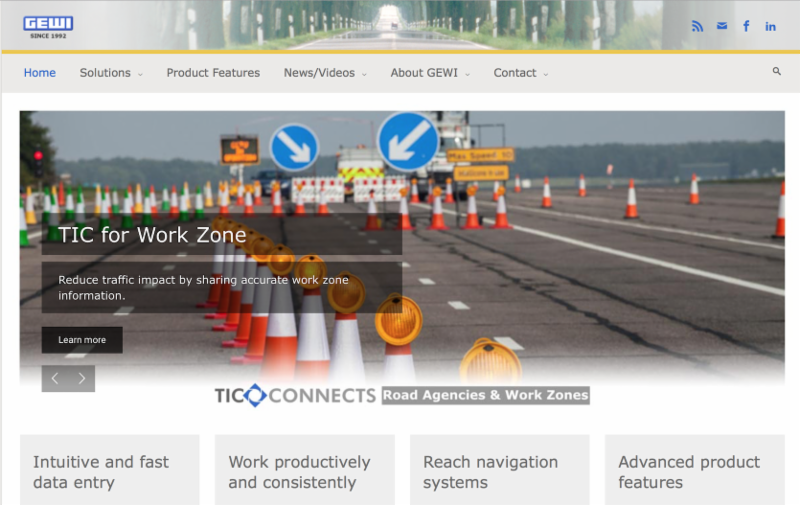 Read about how TIC is used to power a new navigation service, an announcement of how drones can be used with TIC at a recent Work Zone workshop, and learn more about GEWI's 1st employee Holger Kuske who is celebrating 24 years with the company. In North America, this has been a record-setting year for hurricane damage and public agencies have been challenged to provide real-time information and advice for evacuees. Read how social media played a part in Houston during Hurricane Harvey and how this information could be used to benefit public agency response. In September 2017, a union of public radio broadcasters known as ARD started operation of a TPEG service powered by GEWI's TIC Software. The service was announced at the International Radio Exhibition 2017 in Berlin, Germany. GEWI operates a unified TPEG server for all the broadcasters which enables the creation of a nationwide TPEG broadcast to provide navigation data for Germany at no cost to drivers. TPEG technology provides for a higher volume of messages to be broadcast more quickly to navigation devices, and provides more precise location referencing for traffic events. In addition, traffic flow and prediction (TFP) is available as well as weather, parking and provides the ability to expand with more services in the future. For more information about TIC for TPEG Navigation services, visit www.gewi.com. 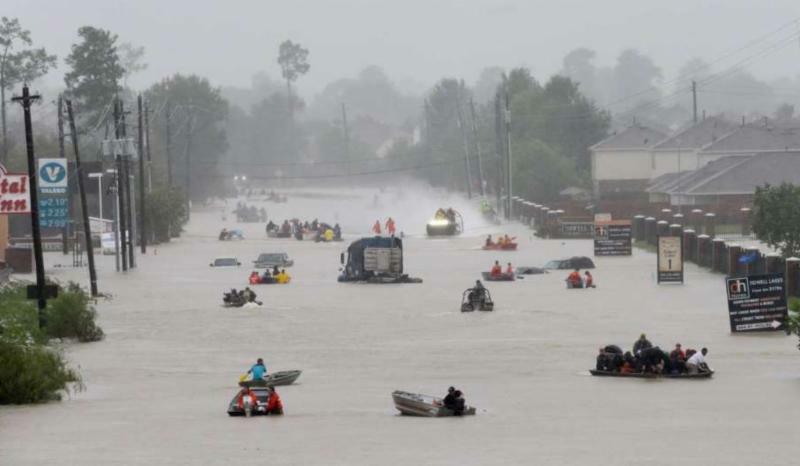 GEWI's office in the Houston, Texas area was not affected by Hurricane Harvey, but the 52+ inches (1.4m) of rainfall created unprecedented challenges for emergency responders across much of the state. From the devastation at the landfall point near Rockport, Texas to the flooding of over 130,000 houses in Houston and southeast Texas, individuals and social media worked alongside first responders and official agency sources to assist in response and recovery. Social media provided extremely granular reports for safe neighborhood evacuation routes, alerts to evacuate disabled and elderly that needed immediate assistance, information as to which stores and services were open, and availability of shelters and critical supplies. Jim O'Neill, CEO of GEWI North America, has been a Houston area resident for 30 years and has spoken on the value of social media for traffic management at conferences such as the 2015 ITS World Congress in Bordeaux, France. The value of social media during disasters was demonstrated during Hurricane Harvey and O'Neill wrote an article for LinkedIn on his experiences during the storm, and how information flow could be improved during the next major event. Read the full text of the article on LinkedIn. 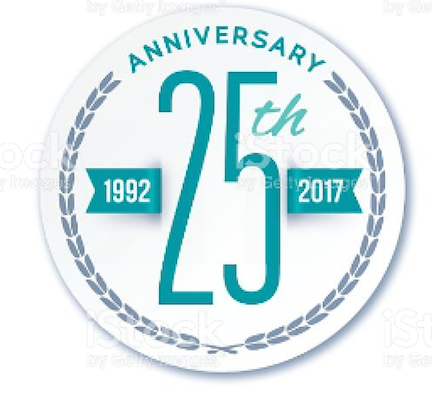 As GEWI celebrates 25 years in business, the TIC Software product also achieves a milestone with 20 years of continuous development. Over the years this commercial-off-the-shelf (COTS) solution has grown from just providing the ability to create and broadcast traffic information for RDS-TMC navigation devices to now encompass an ever growing list of product features which power a range of solutions for Cities. Work Zone provides the ability to plan and provide permits for multi-phase work zones including distribution of all relevant information to all involved organizations as well as navigation, broadcast, apps and other systems. Parking allows for the collection, or creation of important parking data such as occupancy, location, pricing, and many other easily configurable elements. The information is then available to be distributed to any app, systems or service providers who require the data. Organized event provides the ability to collect, or create, information about events and use this information as an input to create traffic and travel information associated with the event. Accident information can be automatically collected or manually created with details including the location, direction, and in the case of accidents people involved, and road infrastructure damages caused by the accident, and much more. 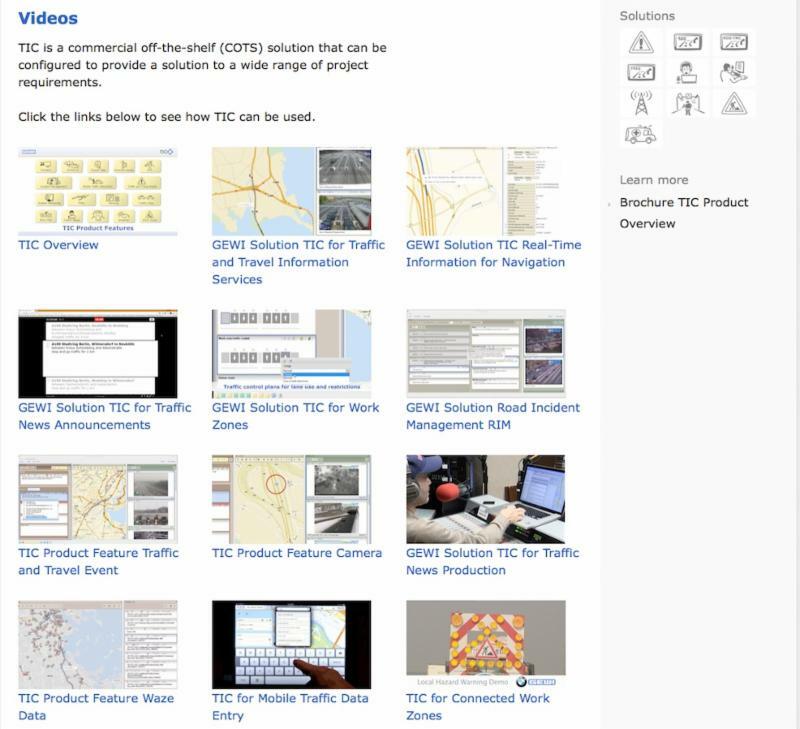 Traffic Flow data such as speed, delay, and LOS can be collected from suppliers such as TomTom, HERE, Inrix, and ADAC and distributed to required systems and apps in TIC3 XML format. The traffic flow can also be related in TIC to provide Operators an accurate picture of real-time conditions on the roadway to quickly verify and process traffic events. 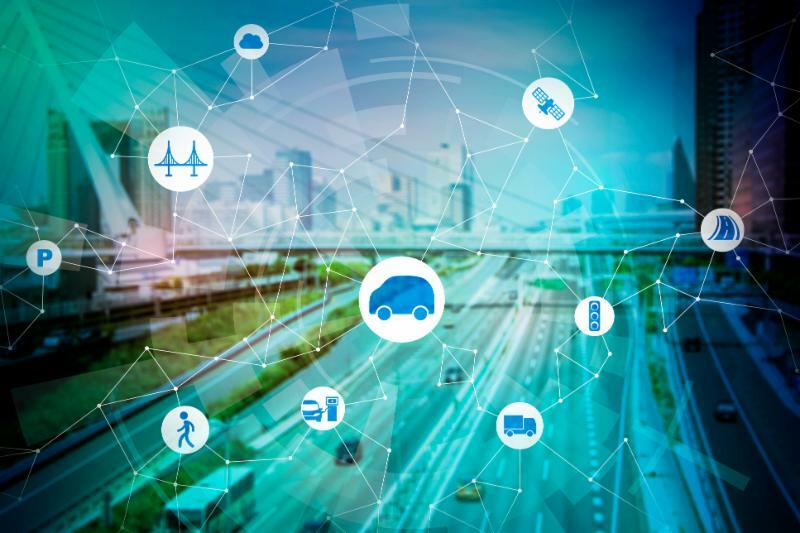 The theme of the 2017 ITS World Congress is "Next Generation Integrated Mobility, Driving Smart Cities", an appropriate topic for which GEWI's TIC Software is well suited to demonstrate real world solutions. GEWI was founded a year before the first ITS World Congress was held and has been an attendee or exhibitor at every ITS World Congress over the years. In September of 1992, Hagen Geppert and Dr. Karl Will combined their technical and engineering skills and founded GEWI, opening their first office in Rathmansdorf, Germany. The company name GEWI was created by using the first two letters of each of the partners family names. GEWI originally designed programmable hardware for global television manufacturers such as Sony and Grundig and in 1993 GEWI produced one of the world's first RDS-TMC FM receivers for collecting traffic data. Soon after developing the RDS-TMC receiver it became clear that there was a lack of quality traffic data available for broadcast. This led GEWI to develop the first generation of the TIC Product to collect, view, create, store and distribute traffic information. In the last 25 years the TIC Software has evolved to provide many solutions beyond Traffic and Travel Events and the GEWI staff returned to the original office in Rathmansdorf for a BBQ to celebrate this milestone in the company history. Among the attendees was Holger Kuske who joined the company as the first employee in 1993 and is celebrating his 24th year with GEWI. GEWI's main office is in Bernburg, Germany but it was recently announced that a new office will be opening soon in Leipzig, Germany. GEWI also has offices in the United States, Singapore and the United Kingdom to sell and support the TIC Software which is now used worldwide. To celebrate GEWI's 25th anniversary the company took the employees and spouses from around the world to Marrakech, Morocco to mark this significant milestone in the GEWI company history. The first evening was spent in a tent city in the desert. GEWI employees enjoyed camel rides, traditional Moroccan food and entertainment and reminiscing with stories from the past 25 years. For years, GEWI has held User Group workshops for various TIC Software solutions to introduce new features and gather customer requirements which may be incorporated into future product releases to improve TIC system operations. On 19-20 September in Potsdam, Germany, GEWI held a Work Zone User Group Workshop attended by members of several German Federal Road Agencies. Much of the workshop focused on introducing users to the many new TIC features, including the TIC Smart Client for Web Browser. 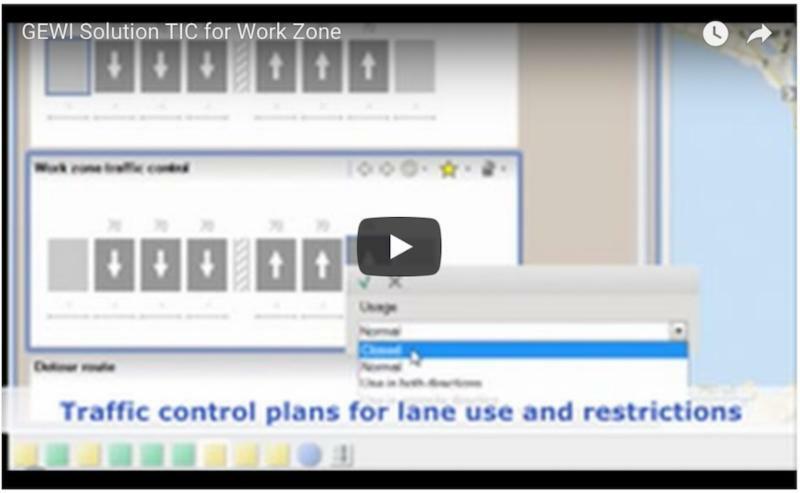 The TIC Smart Client for Web Browser allows individuals who are not daily users of the TIC Software the ability to manage their Work Zone projects. The goal is to provide an end-to-end solution from the filing of a Work Zone Permit by the construction company all the way through the completion of the work zone project. This includes all steps in-between, including distribution of traffic data to broadcasters, apps, other systems and project managers. Over the 20 year history of the TIC Software product, GEWI has always had an eye toward the future and incorporating emerging technologies into the product. One popular agenda item was a presentation by GEWI's Thomas Rothe on "Drones for Work Zones" which is being integrated into the TIC Work Zone workflow. The feature allows TIC to create drone flight missions along a Work Zone that has been entered into TIC. Videos and photographs of the actual work zone progress can be stored and compared to plans and permits which have been filed. The demonstration initiated lively discussions about other uses of drones beyond observations of Work Zones. Other possible uses include verification of incidents where no cameras are present. Other possible application are observation and monitoring of accidents, organized events, parking availability and road obstructions. While the average GEWI employee has over 12 years' experience with the company, Holger Kuske has double that longevity. Holger joined GEWI as the company's first employee in 1993 and in an excellent example of GEWI's resource stability. He is also involved in modelling new data types such as data which can be used for emergency services described in this issue. In 2001, Holger was instrumental in the development of the ERIC3000 system for the European Road Information Center which exchanged traffic data from over 20 countries. Holger was also key in establishing the complete traffic management system for the German State Police using TIC, as well as RDS-TMC in the Netherlands, and in establishing a commercial conditional-access TMC Service in Germany (ITDA). The many valuable contributions Holger has made over the past 24years have helped make TIC become the "gold standard" for traffic information services worldwide.